Bring a touch of elegance to any room in your home with this beautiful deluxe wood Halley white desk. 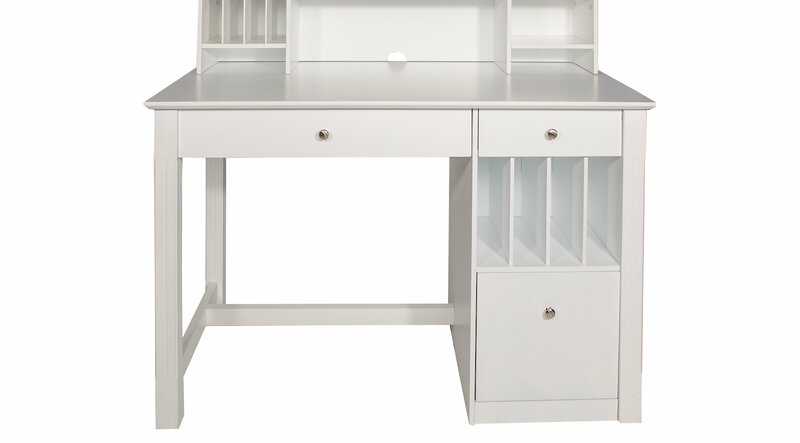 Constructed from high-grade laminate with a beautiful painted white finish. Features a drop-down keyboard tray, hanging filing drawer, and file slots to provide you ample storage space.